Sophisticated and airy rooms elevated by high ceilings and tall windows. 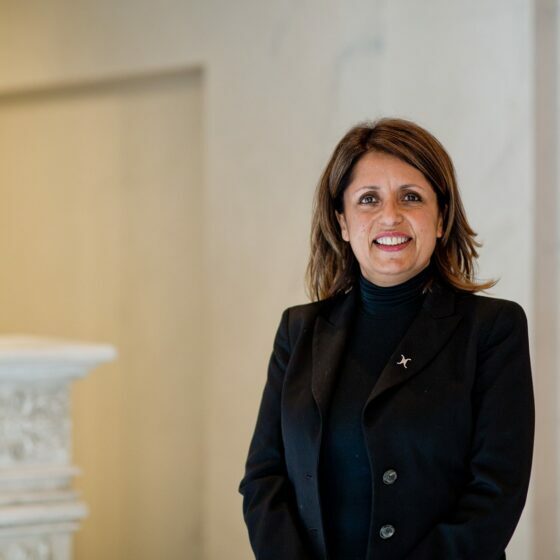 Your peaceful oasis where historic authenticity meets delicate luxury. The restrained Italian colour palette anchors these rooms in serene grace. A striking collaboration between modern design and Roman warmth in an instantly inviting space. High ceilings, tall windows and a vast, palatial bed flanked by hanging lanterns. A glorious room. 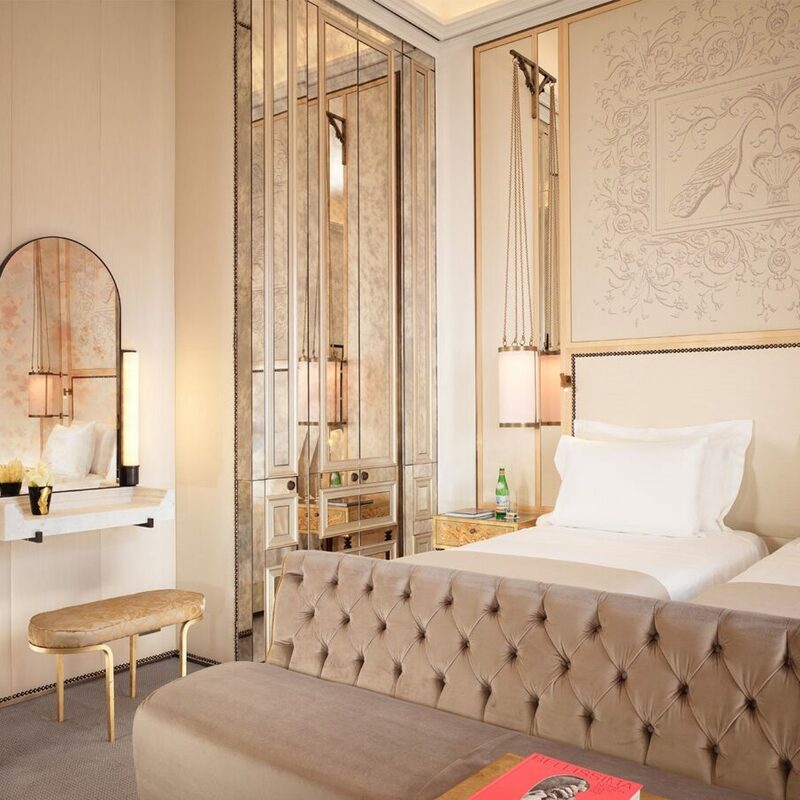 Rooms glowing with a golden charm, and a view that enchants at any time of day. 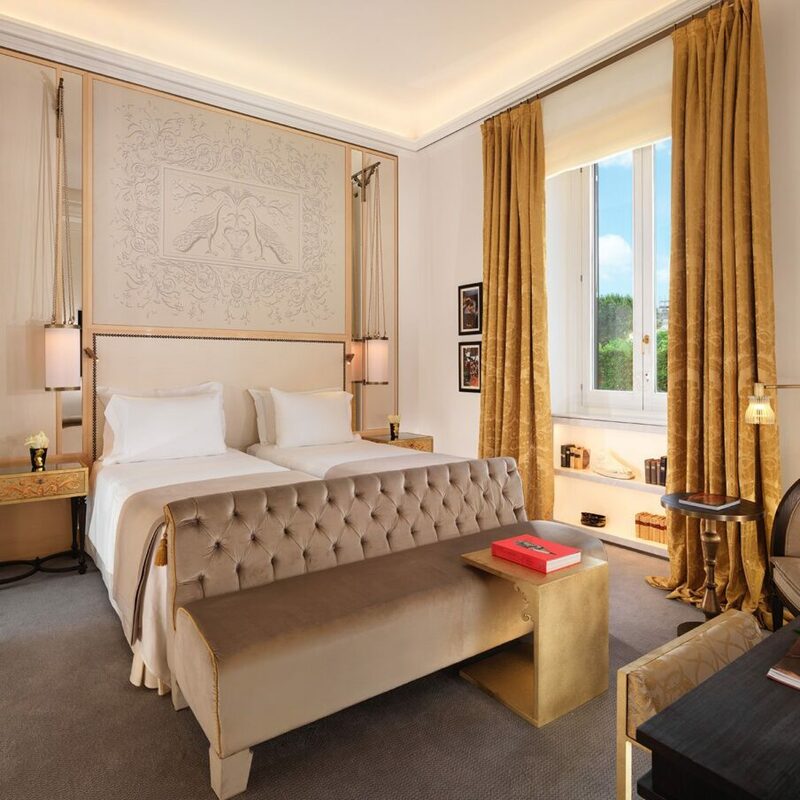 Reminiscent of a private apartment, full of Roman light and offering more space to relax, work, or simply enjoy your wonderful suite. 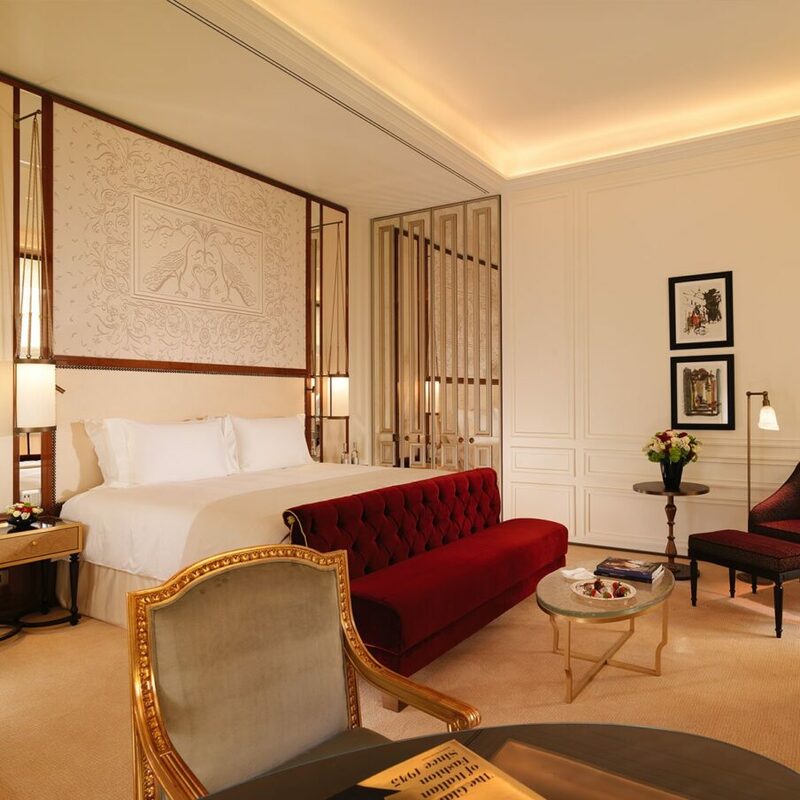 Beautifully designed rooms with an air of calm grandeur, where Italian charm blends seamless with high-end luxury. 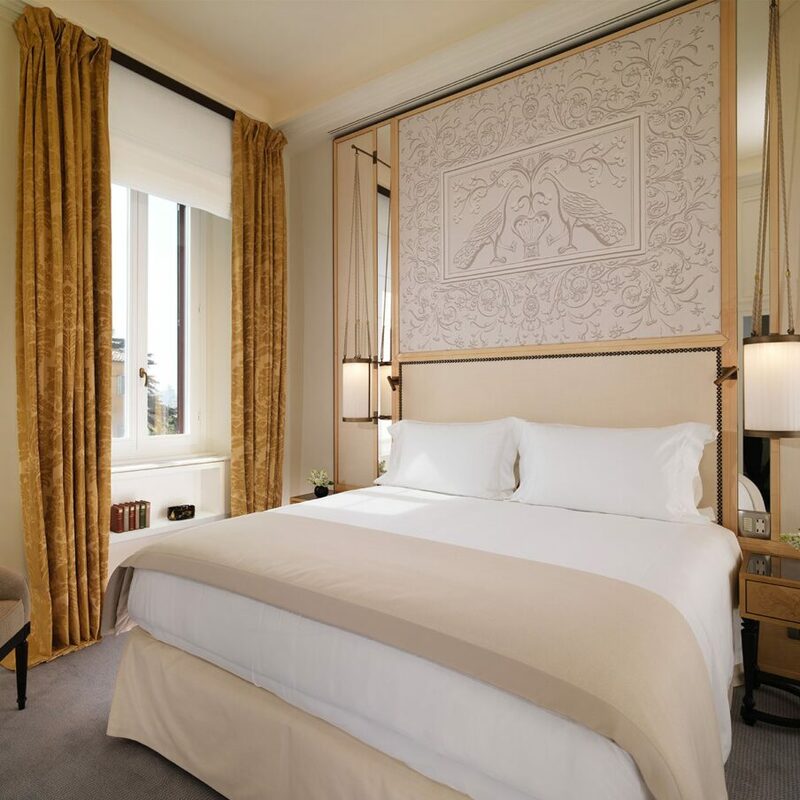 These are often described as ‘the best beds in Rome’, but we know you’ll want to look at the awe-inspiring view first. Peaceful and spacious rooms from where your adventure begins. 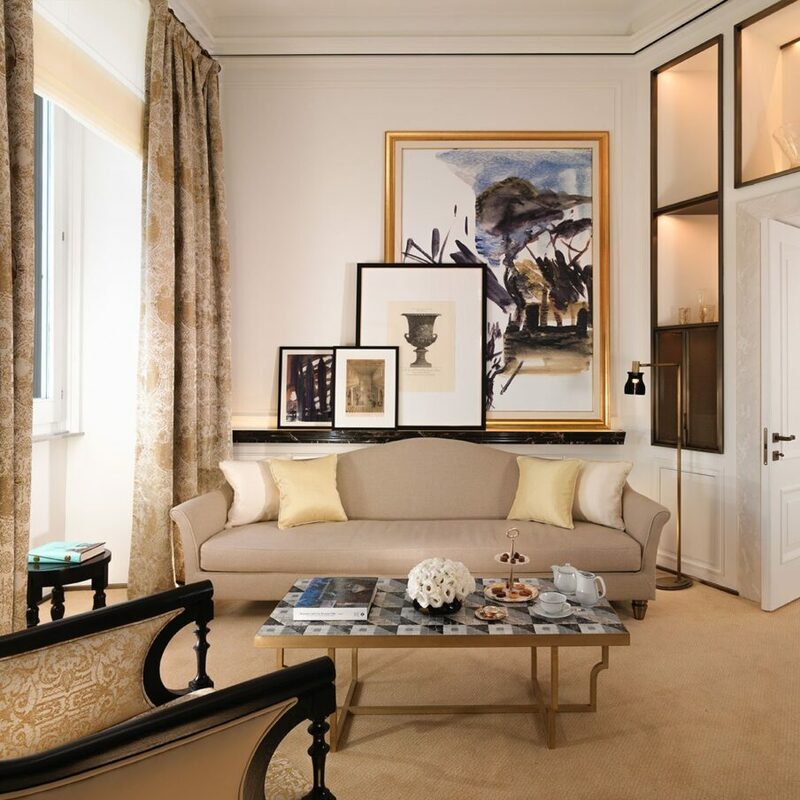 Sumptuous furnishings and eclectic art ensure a sense of living in the real Italy. Your warm and welcoming private apartment in Rome. Here, location is everything, and the view might make it hard to leave this lovely suite. An absolute favourite with many of our guests because of the amount of space, the tranquillity and the sheer, unadulterated sense of comfort. Julius Caesar once lived on this same hill, with these same views. But you’ll have a much nicer suite. A unique suite. A spacious apartment with beautifully proportioned rooms, a dressing closet of dreams, and the most extraordinary view. 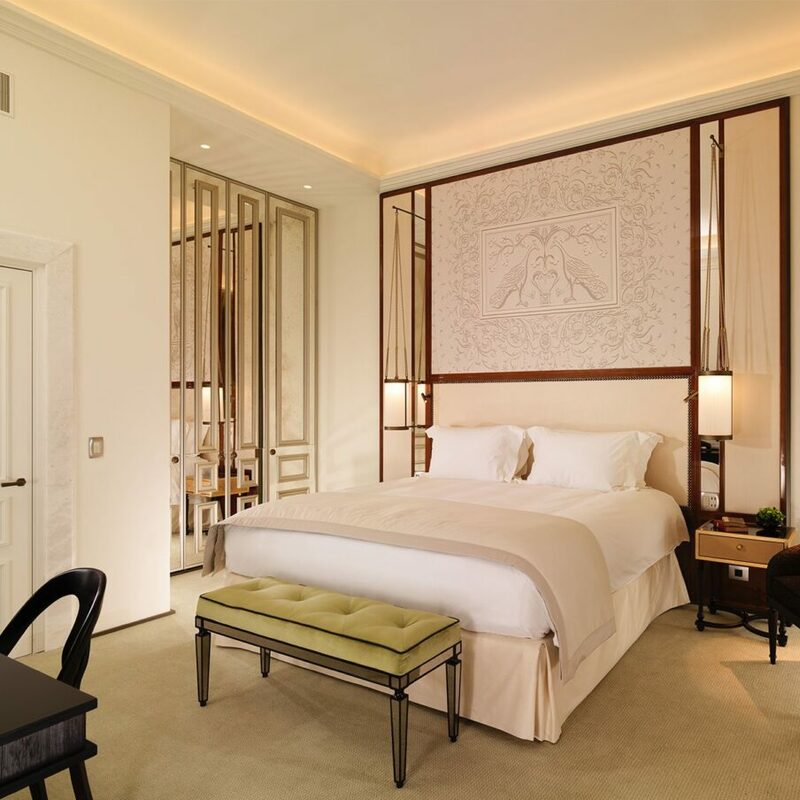 A treasured suite, a tranquil oasis. A melody of sumptuous furniture and design with a spectacular, private terrace – best admired from your freestanding bathtub. Truly something special, this fifth floor beauty offers splendid views from many balconies. Perfect for entertaining or simply indulging in pure luxury. A rooftop location. Exclusive views. Your private lift and a breathtaking bathroom. A suite experience never to be forgotten.